Haha, excellent 🙂 I honestly don’t know about the compatibility between the MZ-700 and the MZ-80A. I never owned a 700 but with the cursory glance I’ve taken at some of the tech stuff relating to the 700 recently I think it’s got some overlap for sure. Almost like an MZ-80A but with colours. Hope my site’s useful. It’s a very new site at the moment and still lots more content to come! Oh and good luck with the challenge! Will look out for your results! Just to let you know that your BASIC manual on the download page has some pages missing. The PDF file for “BASIC interpreter SA-5510” jumps straight from page 60 to 81. Presumably an error during scanning. Thanks! I will fix this soon. We have a MZ-80a with original box, manuals, tapes and plastic cover. Is this worth anything? Hi! Yes, usually that could be worth up to a couple of hundred pounds with the original box and manual etc Out of curiosity, what tapes do you have? 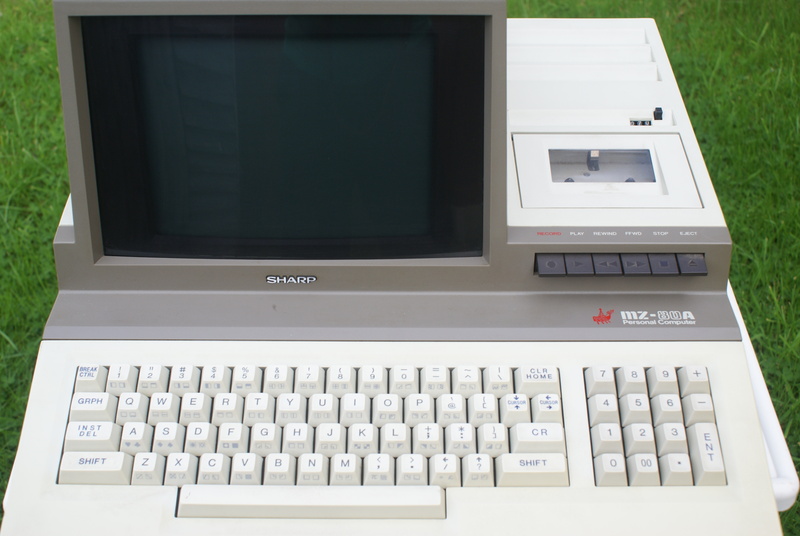 What is the geometry of the 5.25″ discs used on the MZ-80A and B models please ? Is one of them 280k (35 tracks x 2 sides x 16 sectors of 256 bytes) ? Are both A & B the same ? Thank you so much for coming back to me – much appreciated ! 280k (35x2x16x256) is what Omniflop told me the disc was whereas all the 22Disk definitions posted on the Net for the 80B are 40x2x10x512 which 22Disk does not like at all ! I’m still having grief though getting the definition right for 280k as Anadisk is not giving the skew info etc that, according to 22Disk’s documentation, it is supposed to.Any info on skew and sector read sequence would be much appreciated.